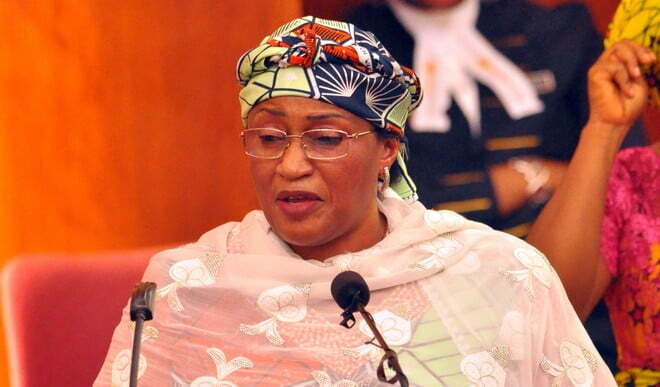 The All Progressives Congress (APC) has spoken on comments by Minister of Women Affairs, Aisha Alhassan, aka Mama Taraba, in reaction to speculations that she was “planning” to dump President Buhari following the exit of former Vice President, Atiku Abubakar from the party. Acting Chairman of the APC in Taraba, Sani Chul, expressed happiness with the minister’s decision to remain in the party. “Yes, there were issues in APC like in any other party but clearly we are better,” Premium Times quoted him as saying. Also speaking, one of the minister’s supporters, Naomi Dogo, said it would be a “suicidal mission” if she joined Atiku in the PDP. “Power belongs to God and you can’t get it by force; he too should have persevered in the APC to see what God has in stock for him; we earnestly congratulate Mama Taraba for making a tough but wise decision to remain in APC,” she said. Mama Taraba had last year stated that she would support Atiku for the 2019 presidential election even if President Buhari decided to run. “Let me tell you today that if Baba said he is going to contest in 2019, I swear to Allah, I will go before him and kneel and tell him that ‘Baba I am grateful for the opportunity you gave me to serve your government as a minister.